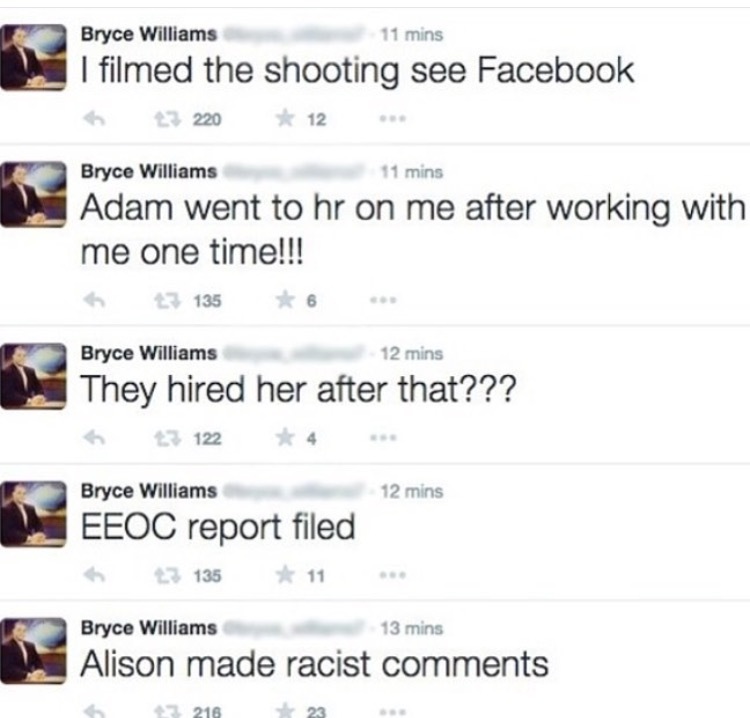 Vester Flanagan also knows as Bryce Williams on television is who was being named the suspect for this horrific shooting is now dead due to gun wounds from shooting himself. 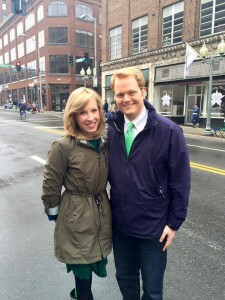 Flanagan was hired by WDBJ7 in 2012 and fired February 2013. He posted a series of tweets and video after the shooting. His twitter account is currently suspended. 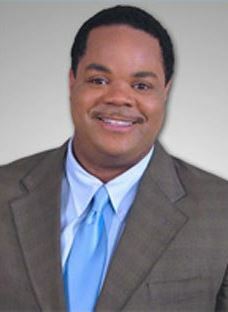 WDBJ7 also received a 23 page fax manifesto earlier this morning supposedly from Vester Flanagan. This story is very sad. How did he know exactly where they were at 6:45am this morning? Only time will tell. I pray justice is served ! Watching the video over and over, it seems odd that no one heard or even noticed Williams standing so close near them, especially with a gun, giving him time to even readjust his body camera. Either Parker was trying to remain professional for the live interview or she truly did not see him. Either way, this shows that you have to be mindful about your surroundings and always keep your eyes open. 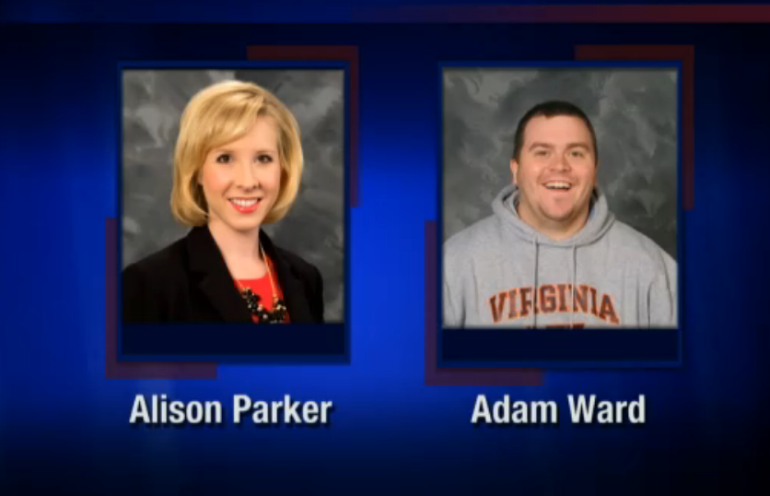 This morning during a live TV interview in Virgina, News Reporter Alison Parker,24, and Cameraman Adam Ward, 27, were shot to death on live television. They were shooting an interview around 6:45am at Bridgewater Plaza in Moneta, Va. Vicki Gardner who was the woman being interviewed is the Executive Director of the Smith Mountain Lake Regional Chamber of Commerce, was also shot in the back and is in surgery. Police are still looking for the gunman, but were able to get a shot of him as the camera fell down to the ground. 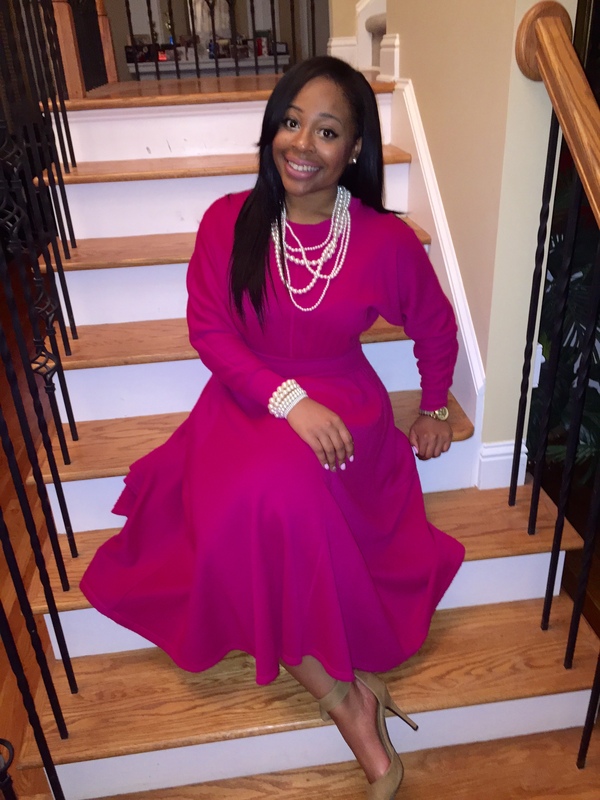 There is no reason this should have happened… Unfortunately another senseless death. Surrounding schools are currently on lock down as they search for the gunman who is wearing all black. Ward was engaged to a Morning Producer at the same station, and Parker was also dating another Anchor at the station. 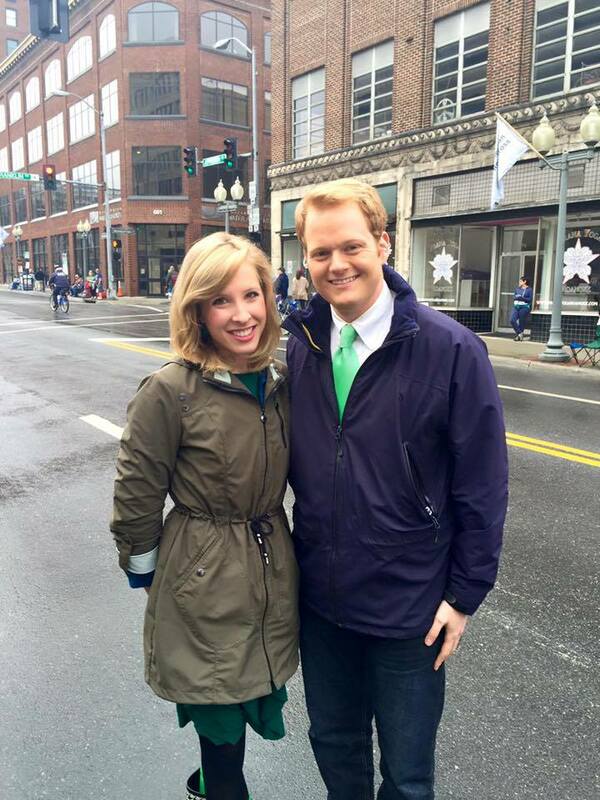 We keep the WDBJ station and families in our prayers. 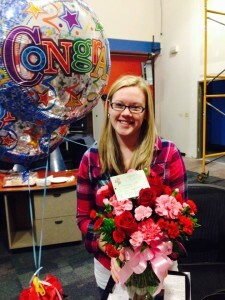 Melissa Ott, finacee to Adam Ward celebrating her last day at the station, not knowing it would also be the last day she would see Adam. 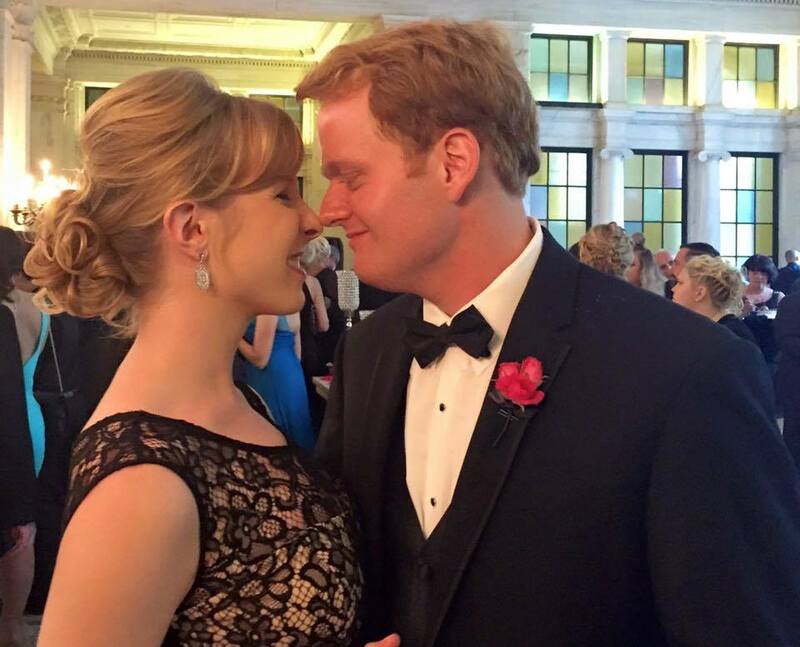 Alison Parker & her boyfriend Chris Hurst who also works for WDBJ. How Can a Man recover from cheating? It’s 2015 & You still dont know how to cook …Why?